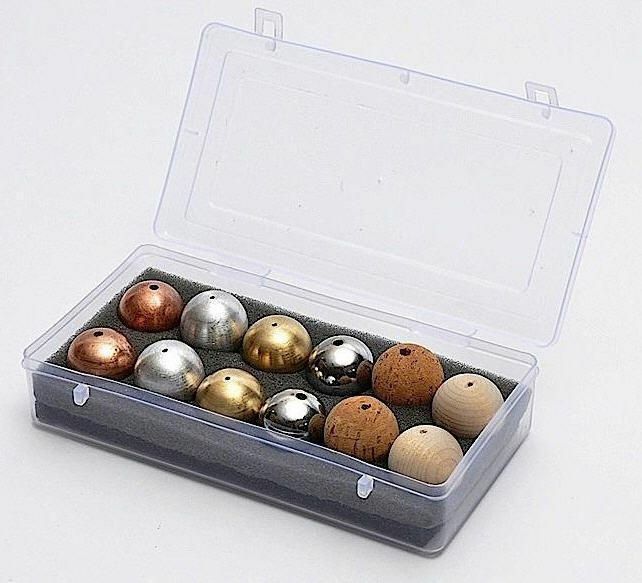 Each set contains 2 each of brass, aluminum, steel, wood, cork, and copper balls. A 3mm hole is drilled through the center of each ball. A slightly larger hole is drilled half way through the center of the ball. This allows the knot of a string to be held at the center of mass of the ball for superior peformance in oscillation experiments.